« A Tip From A Billionaire: Stop Using File Sharing; Share Your Music With Google! PodCamp Ottawa, an unconference focusing on podcasting, is scheduled for Sunday, November 25 in Ottawa, Canada. 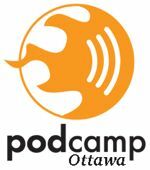 The goal of PodCamp Ottawa is to learn about how to create podcasts (technically and as a host/producer), make them available and listen to them. Organized by Mark Blevis, Andrea Ross, Bob Goyetche, Maurizio Ortolani & Jeff Parks, the unconference is limited to 80 attendees. More details are available at the Podcamp Ottawa site.